Housing.com, one of the fastest growing online real estate & map based search platform has today announced a unique offering called “Housing New Projects”. 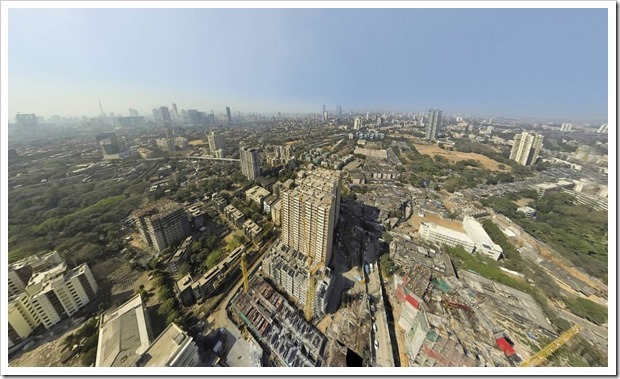 This new offering comprehensively shows various upcoming and existing real estate projects in 3D format, superimposed on maps. It not only shows the projects, but also offers details like 3D floor plans, amenities, locality etc. What is really great about this offering is the comprehensiveness of the information offered on various projects. For a potential buyer, he can not only get all the information regarding a new project, but also visualize it to fullest extent possible. I browsed through a few projects listed, and was left quite amazed at the way they have presented the information to a potential buyer. Fo eg: If a buyer wants to know the floor plan in a new project, they are offered a complete 3D cross section of the floor plan, giving them exact idea of how a particular apartment or flat will look like. On a single page, the buyer gets a complete idea about the project details, location the amenities offered, exact location, commute required to and fro from the project and also actual site photographs to know how the project is progressing. It does not stop there, the projects page also shows a real-life 360 degree view of the surrounding areas, so the buyer knows exactly about the locality in and around the project. 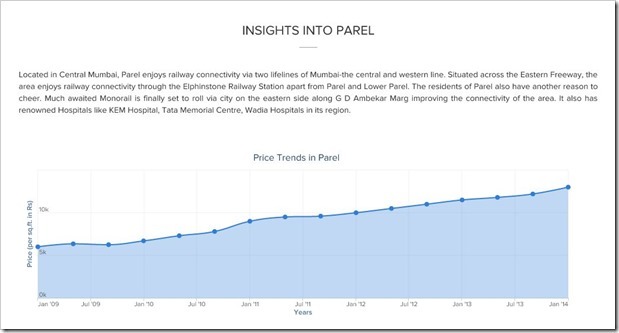 And finally, the projects page give a graph of how the real estate prices have been over past few years, which lets the potential buyer know whether it is a good investment or not. There is absolutely no doubt that the team at Housing.com have put in a lot of effort to start offering this feature – And the effort shows… It really does. Check out one of the project listings here to experience it first hand! It is something that housing.com team should be absolutely proud about!